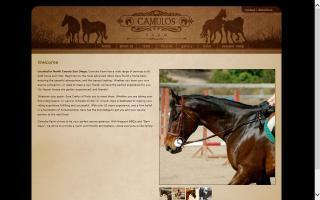 Hunter Jumper Stables Directory - Page 5 - O Horse! 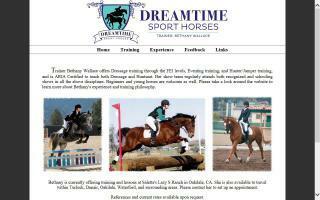 Full service equestrian facility offering lessons, training, boarding and sales. We specialize in hunter/jumpers and travel to all levels of shows from local to "A." We accept riders of all ages from beginner to advanced. Private and group lessons are both available. We are located in Union County, NC on S. Rocky River Road. Call or e-mail Alicia Wilkinson at aliciaw@carolina.rr.com or 704-764-7222. If your goal is to have fun riding horses or to compete and win in the show ring, Castle Creek is the place to be! If you are looking for a reliable companion or quality show horse, I can help! Beautiful show barn on the Connecticut shoreline offers quality hunter/jumper instruction for beginner through advanced level riders of all ages. Riders compete in local to A-rated shows all over the east coast. Full-service boarding facility. We are a day/resident camp for boys and girls, a boarding stable, and a hunter jumper show and training barn with a strong vaulting program. We have weekend programs to fit everyone. We have over 80 acres that are wooded, hilly, open, and include a 13 acre lake for swimming and fishing. Stop by and visit anytime! Boarding - full care services start at $450 monthly (as of Mar 2011). Stall board - call. Arena with lights, dressage arena, and hunter jumper & field jumps. On gravel road network. Open 7 days. We own it and live here. Secured gated entrance. Call today. We are a professional English horseback riding stable. 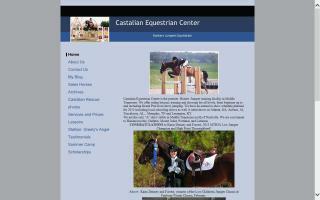 Specializing in educating horse and rider together for winning results. 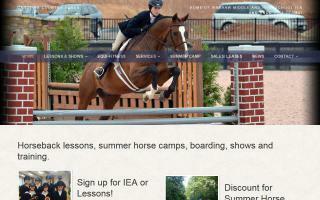 We offer summer camps, boarding, lesson packages, and horse training programs. 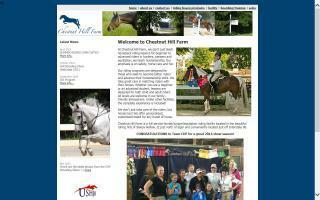 Full care horse boarding and training center in Sleepy Hollow, IL.